KerraMax super-absorbent dressings were being threatened by competitors with bigger marketing spend and similar products. We helped them shift the focus from performance to care, opening up a new dialogue with woundcare nurses across multiple clinical settings. 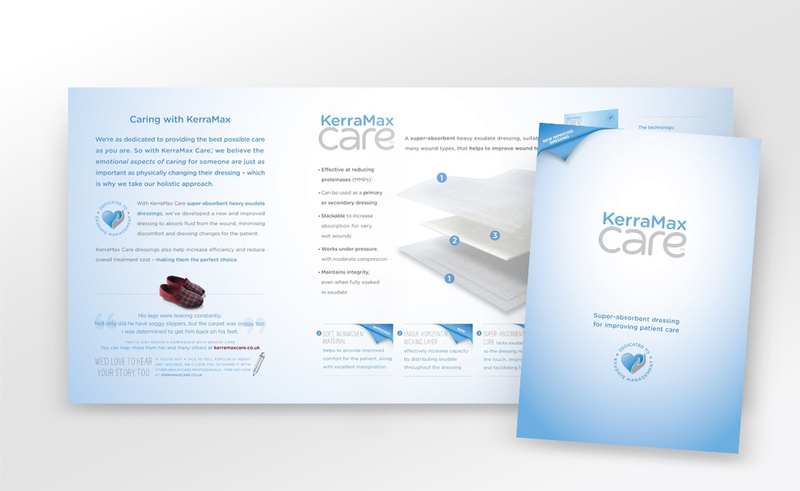 Tissue viability nurses specialise in wound care and, for years, they have trusted KerraMax super-absorbent dressings to help them heal their patients. KerraMax was facing competition. Other brands were spending more marketing money on dressings that seemed similarly effective. Crawford Healthcare, the owners of the KerraMax brand, briefed the Foundry to develop ways to fight back. We began by applying insights gained at our bi-monthly Foundry Nurses Panel. Nurses are highly qualified and technically savvy, but their greatest intelligence is emotional. They do the job because they care about people. 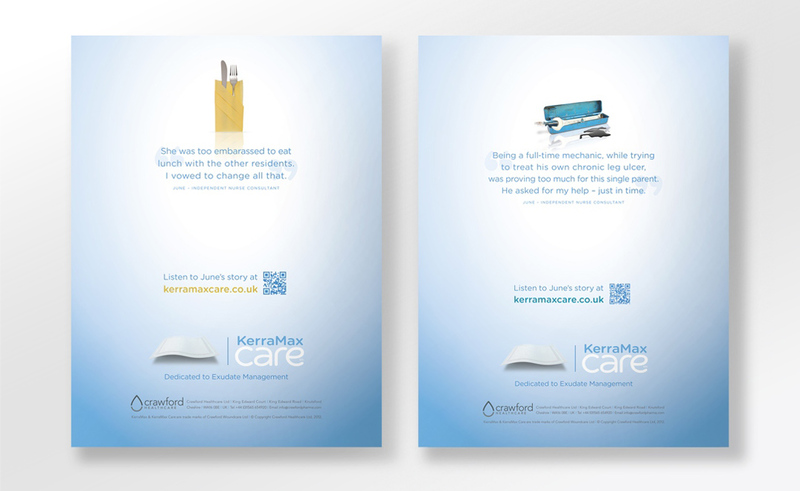 We suggested to Crawford Healthcare that they modify the brand name, changing from KerraMax – hard-edged and performance oriented – to KerraMax Care. This added a human dimension, improving appeal and relevance to nurses, while making a leap from implying maximum performance, to suggesting maximum care. We developed an integrated on- and offline campaign that set technical issues and performance claims aside, aiming instead to celebrate and empower its users by becoming their storyteller. We asked nurses to talk about their wound patients, about the healing process, and the way professional care and human kindness can change people’s lives. Then we simply filmed their conversations and made them available online, using conventional media to generate traffic to the site. KerraMax Care now has a new bargain with nurses and is on its way to being perceived as the one dressings brand that understands what the sharp end of wound care is like in the ward, the surgery and the community.